The school’s roll started to increase in number immediately and by May 1877 it had risen to 120. This rise has continued as the population of the village has grown with the new housing developments and the school can now take up to 210 children. 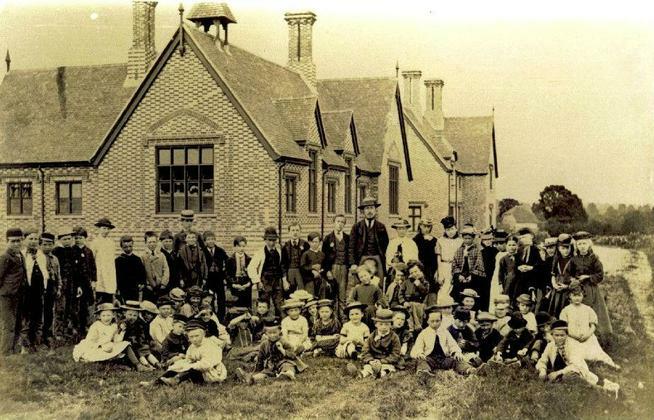 Today Wellow is a non-denominational Local Authority (LA) maintained school for children between the ages of four and eleven. We are a formal federation with Awbridge Primary School and part of a wider collaboration with Halterworth Primary School. This means that we draw on shared expertise and resources and have an Executive Headteacher (EHT) under which each school is led by a Head of School (HoS). We have beautiful grounds with a large playing field and a much loved woodland area, we call ‘The Glade’. We have two large playgrounds, each with their own adventure play equipment and creative playground markings. Our Key Stage 1 classrooms enjoy their own outdoor play area and another walled courtyard area provides a special garden area which is a stunning allotment and growing space. We admit 30 pupils each year into Reception and a further 2pupils from Year 3 onwards. Organised intone class per year group, each Class Teacher is supported by experienced Teaching Assistants, specialist and trainee teachers. The school is well resourced with an extensive library, and a large, up to date ICT suite of networked computers. Each class room has an Interactive Whiteboard and direct access to the outdoor area. The school is also extremely well resourced, with dedicated art , DT room and music rooms. There is a strong commitment for excellence in the arts and sport. We ensure that children have opportunities to create and perform for an audience. We encourage participation in a wide range of sporting activities and enthusiastically compete in local and county competitions.